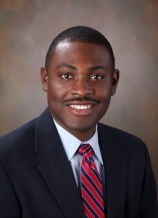 MEMPHIS, TN – October 29, 2012- Glankler Brown, PLLC is pleased to announce that Brandon D. Pettes has joined the firm as an Associate. Mr. Pettes concentrates his practice in the area of business and commercial litigation. A graduate of the University of Tennessee College of Law, Mr. Pettes has experience working as a prosecutorial extern with the Knox County District Attorney’s Office. He has received awards from the University for his achievement in trial practice, and served as Commencement Speaker for the UT College of Law Class of 2012. Mr. Pettes is a member of the Memphis Bar Association, Young Lawyers Division, American Inns of Court, and Order of the Barristers. He has served as the Texas Young Lawyer Association National Trial Team Captain, the Public Relations Chair of the UT College of Law Moot Court Executive Board, and was a Student Bar Association Barrister of the Year nominee.